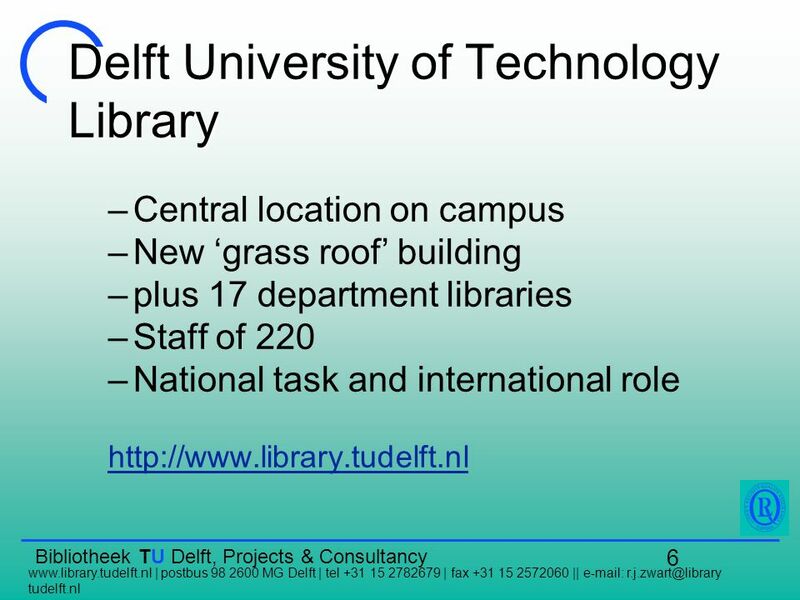 40 Bibliotheek TU Delft, Projects & Consultancy www.library.tudelft.nl | postbus 98 2600 MG Delft | tel +31 15 2782679 | fax +31 15 2572060 || e-mail: r.j.zwart@library tudelft.nl 40 Why…? 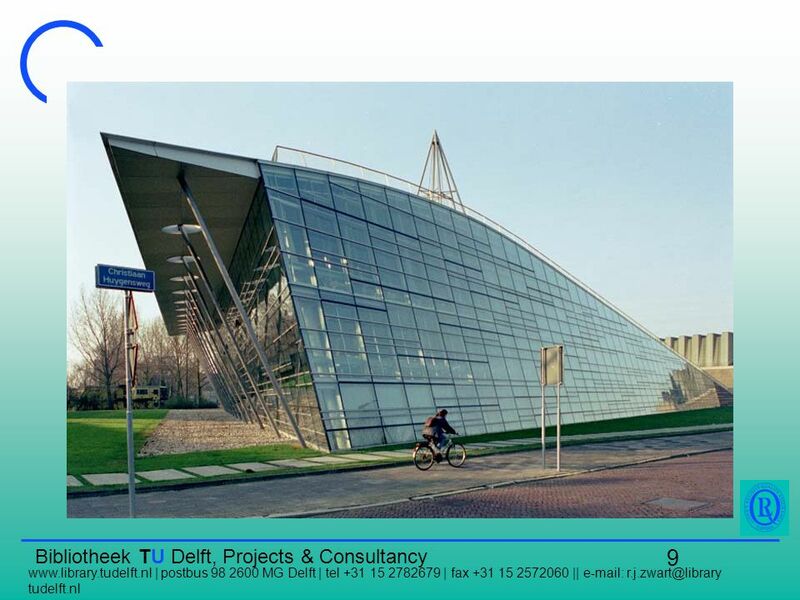 53 Bibliotheek TU Delft, Projects & Consultancy www.library.tudelft.nl | postbus 98 2600 MG Delft | tel +31 15 2782679 | fax +31 15 2572060 || e-mail: r.j.zwart@library tudelft.nl 53 A (not so) far-away look Robert S. Kaplan & David P. Norton, Harvard Business Review, 1996. 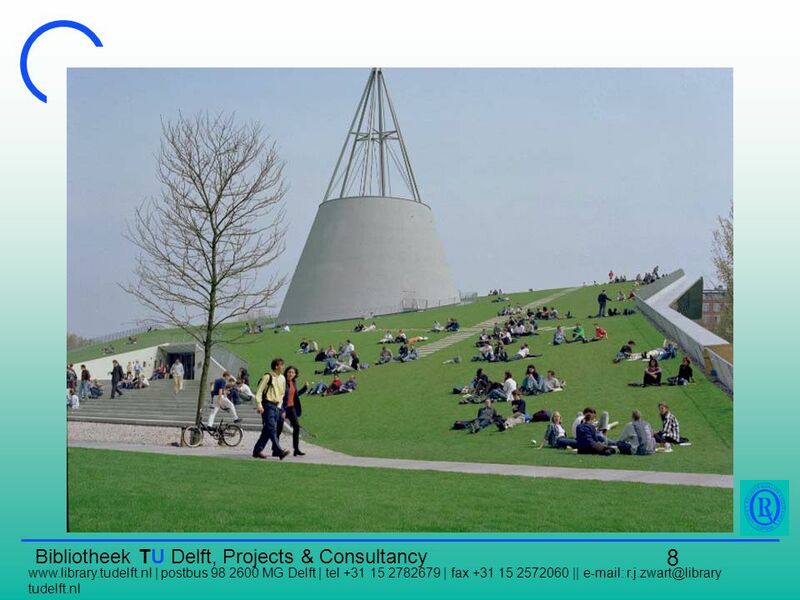 55 Bibliotheek TU Delft, Projects & Consultancy www.library.tudelft.nl | postbus 98 2600 MG Delft | tel +31 15 2782679 | fax +31 15 2572060 || e-mail: r.j.zwart@library tudelft.nl 55 Questions ? 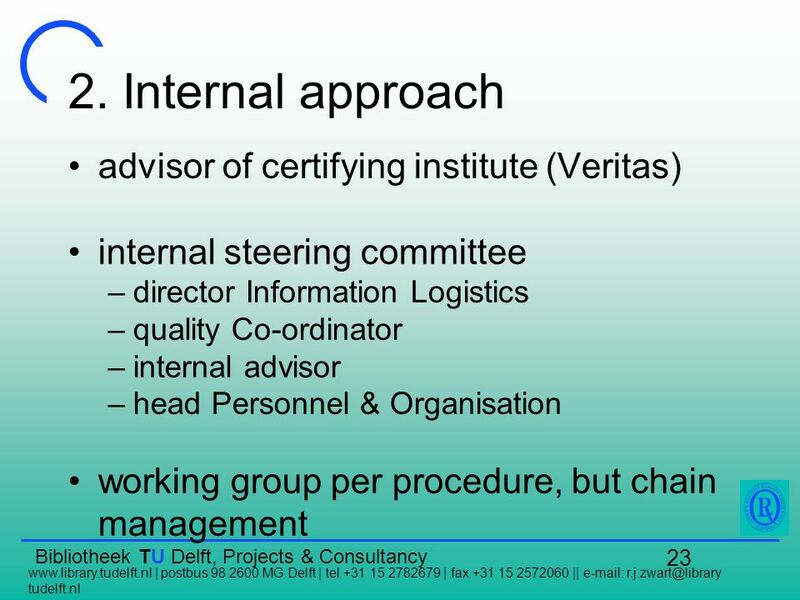 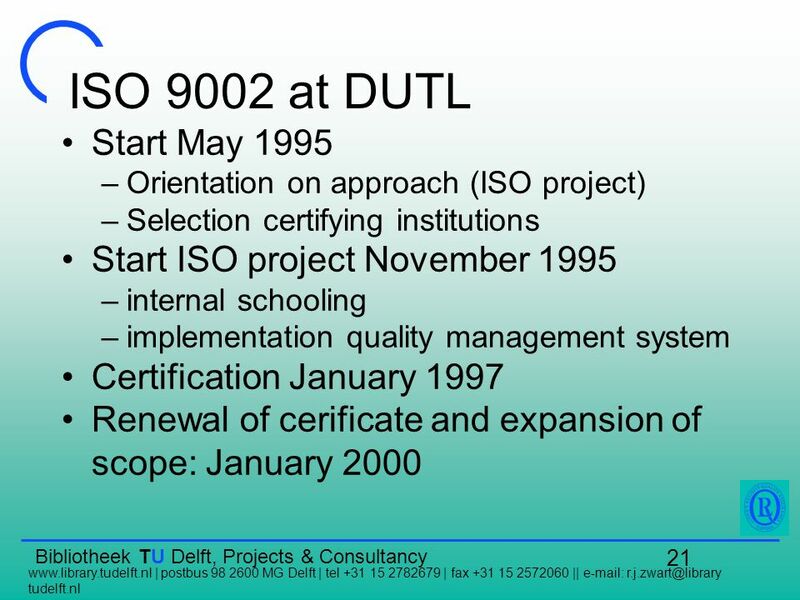 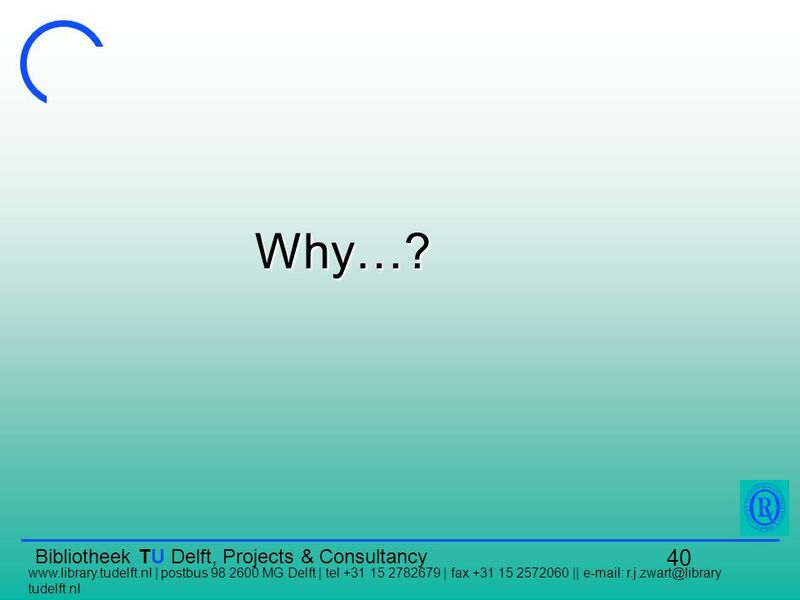 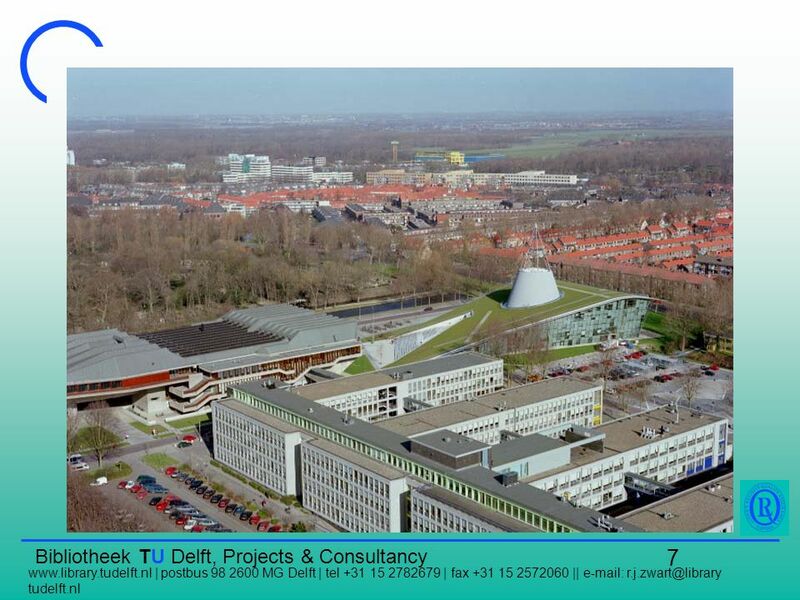 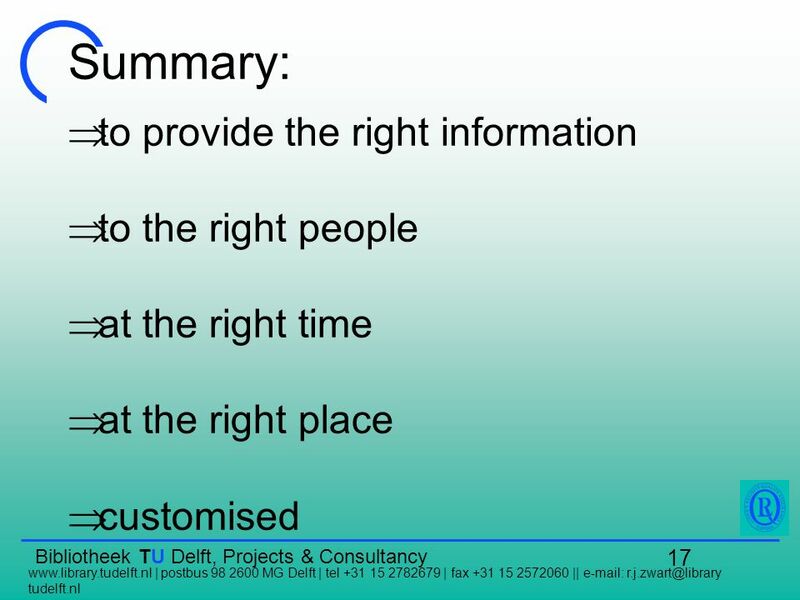 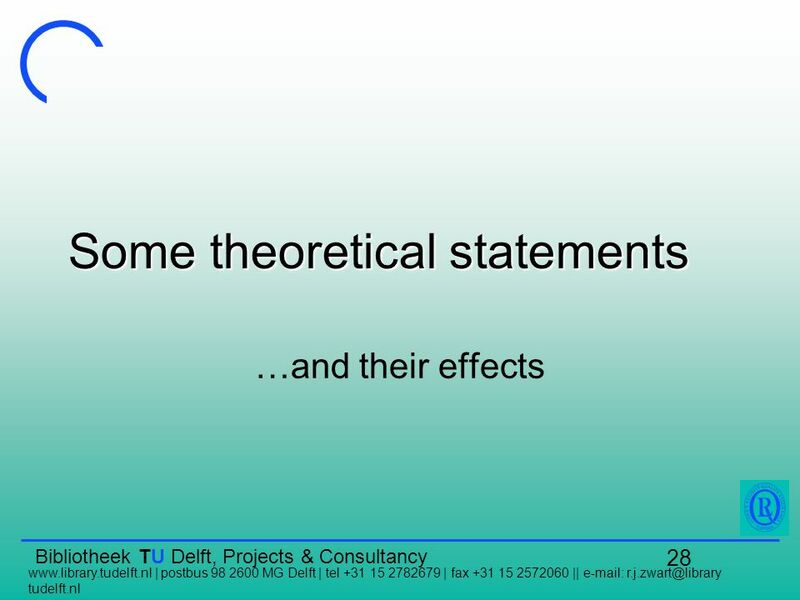 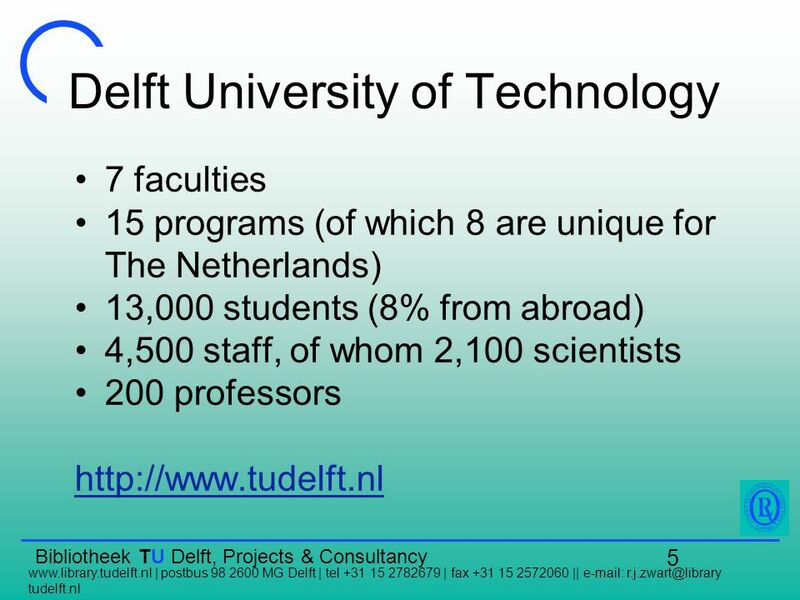 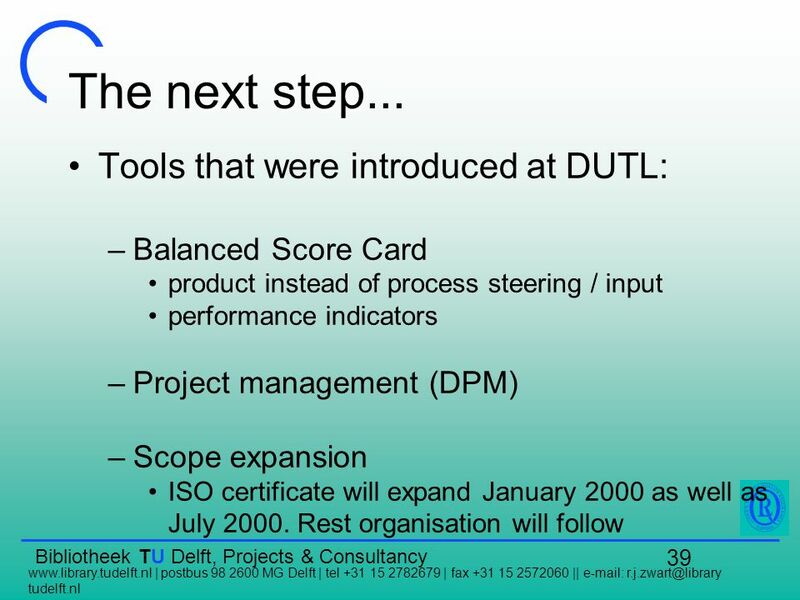 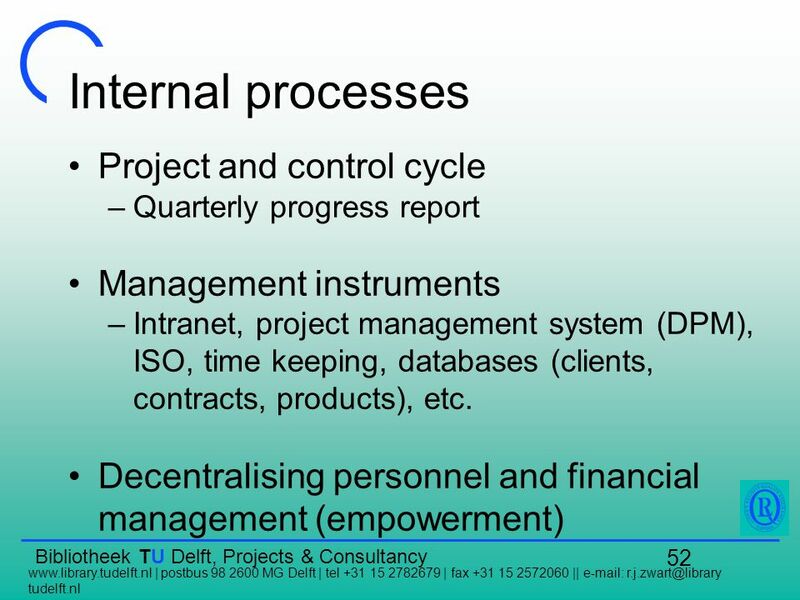 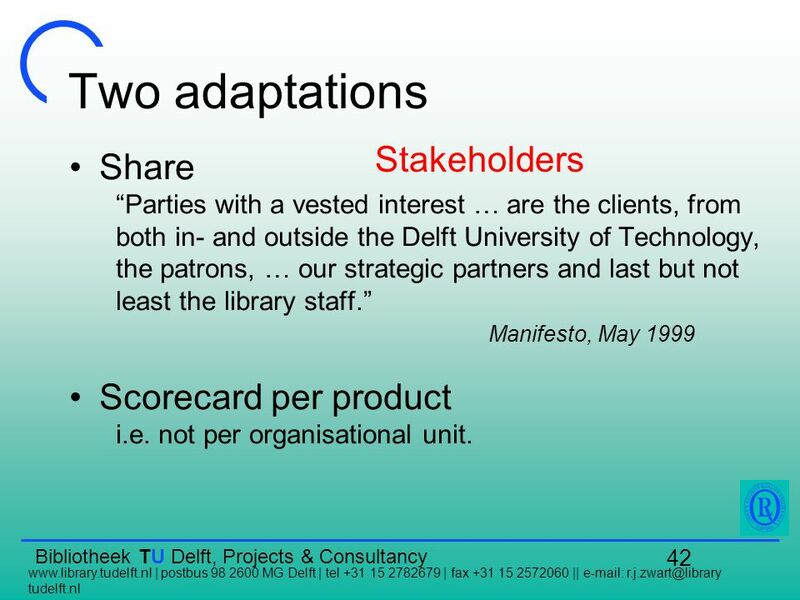 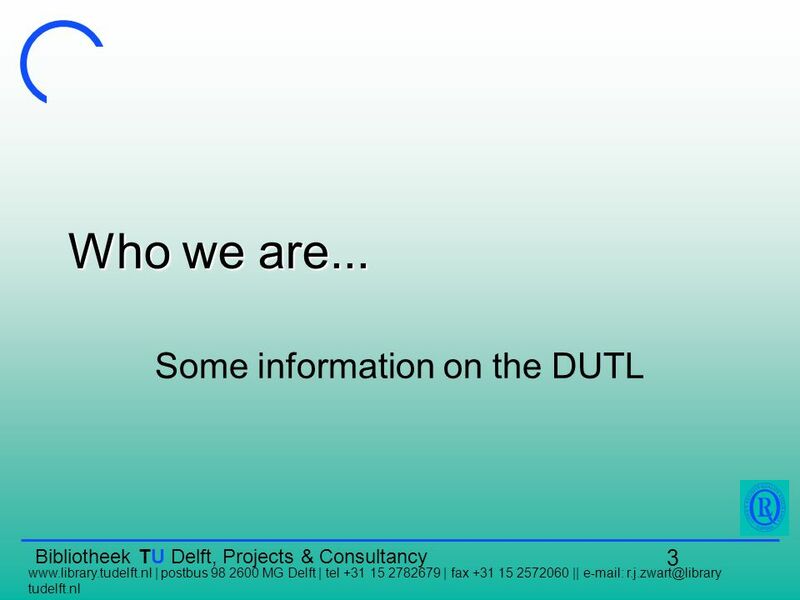 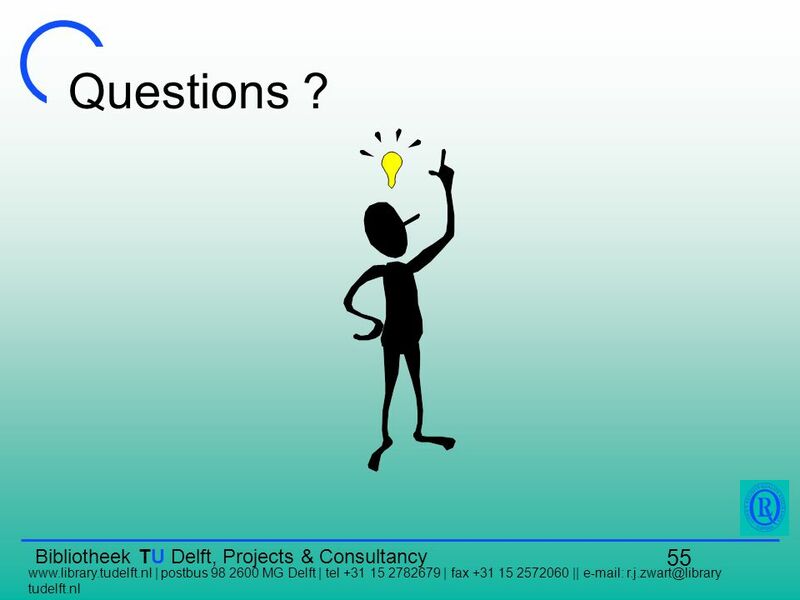 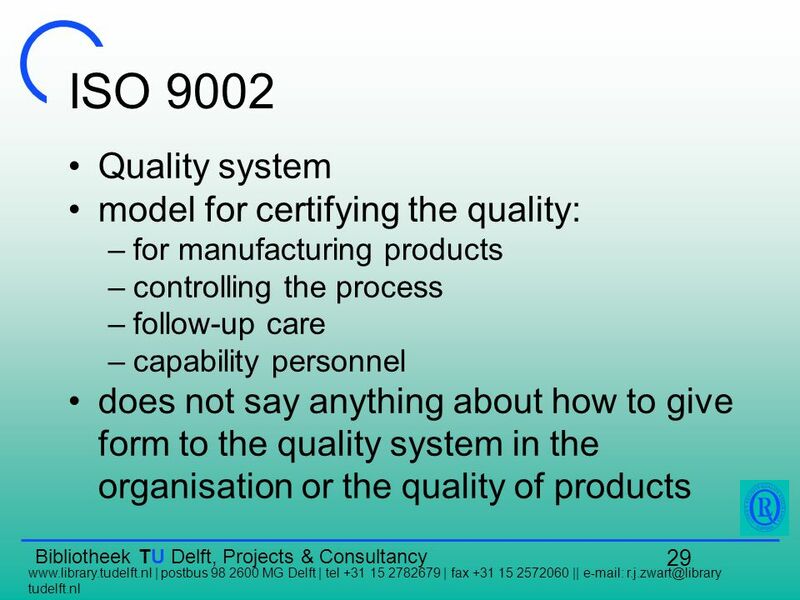 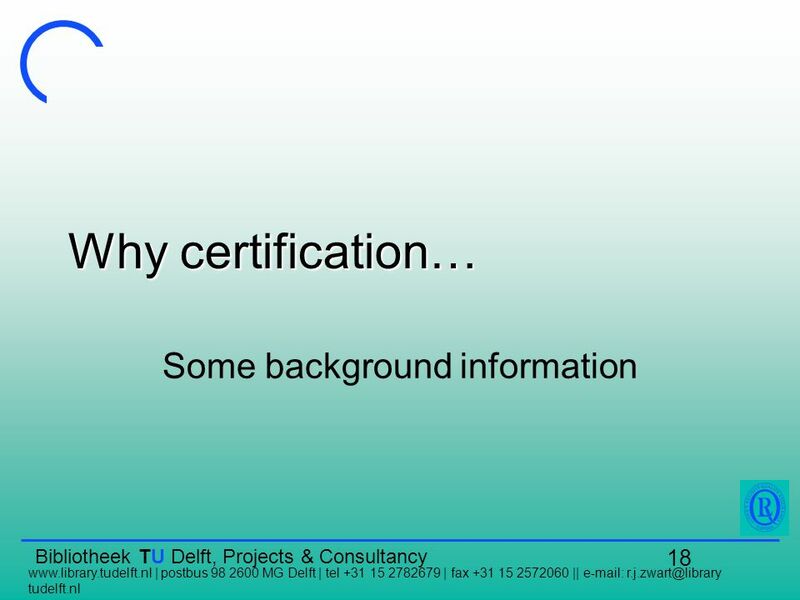 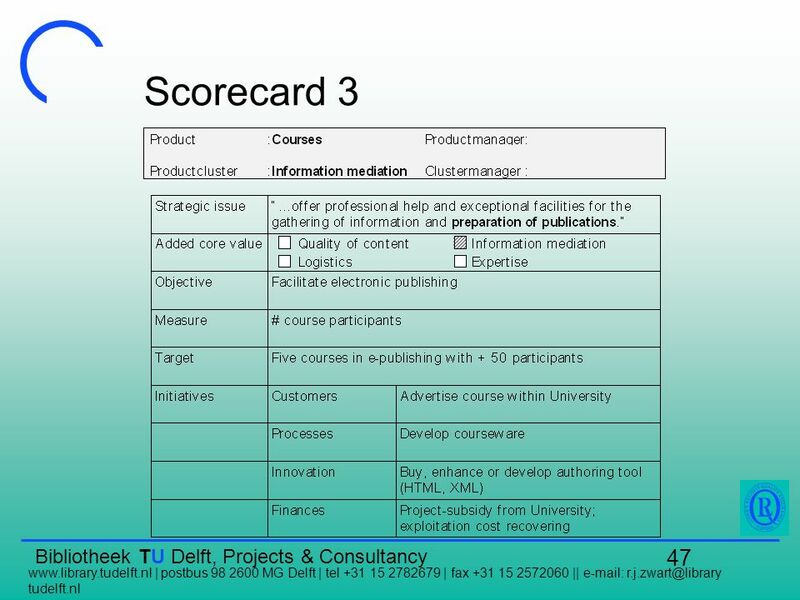 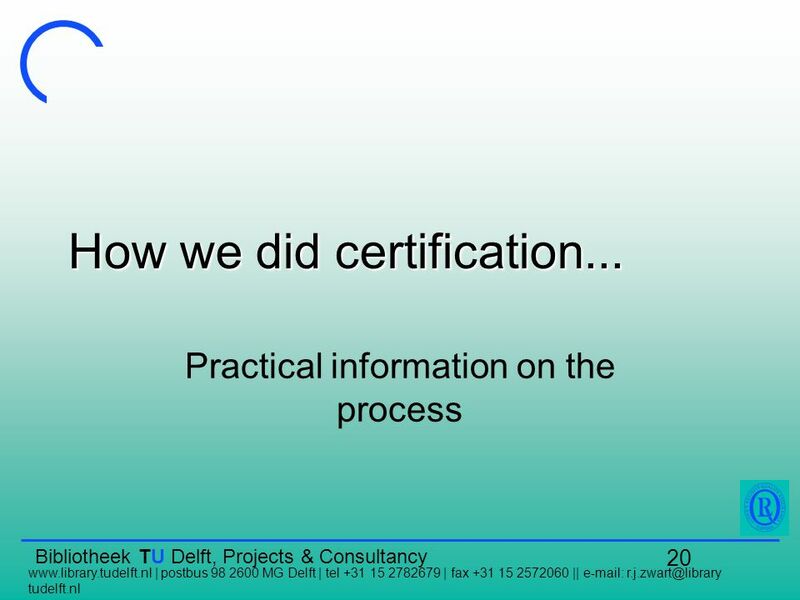 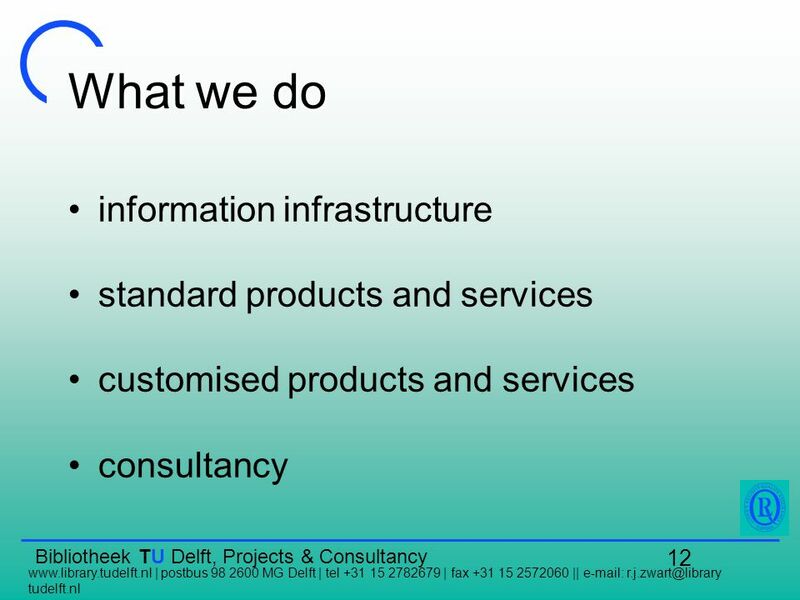 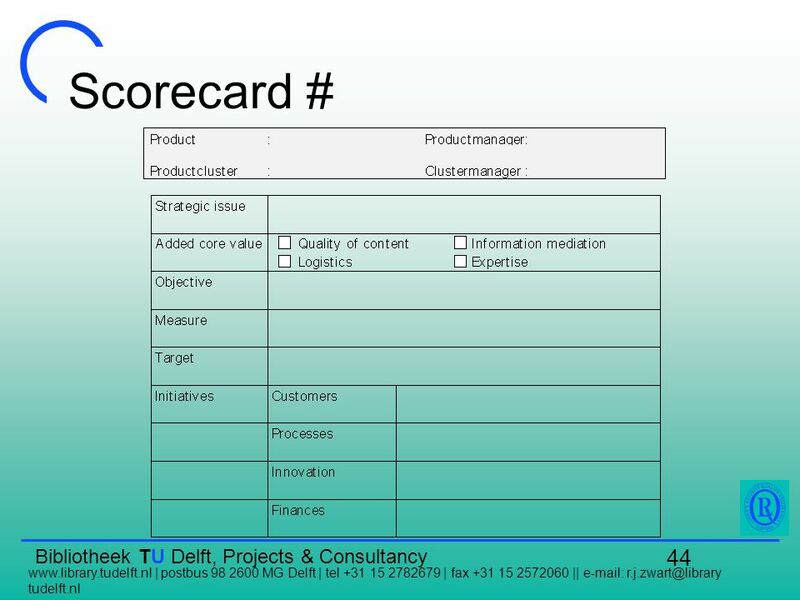 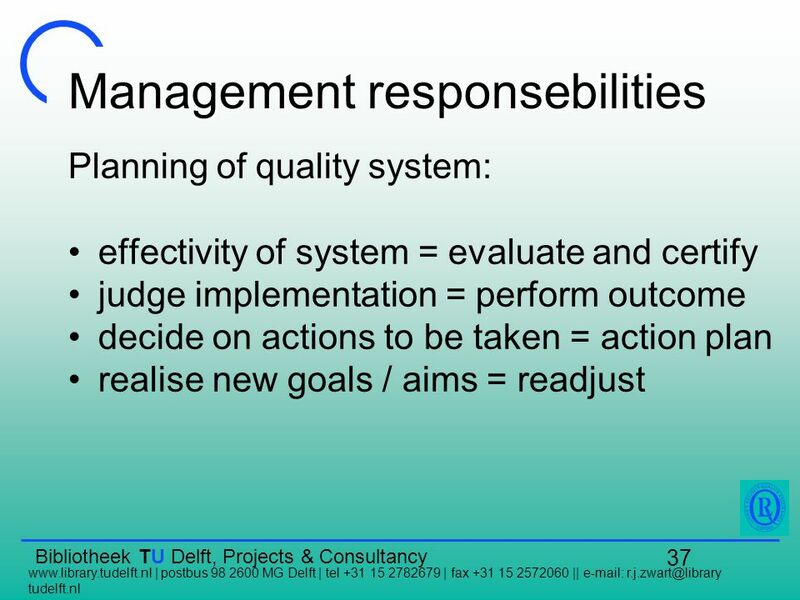 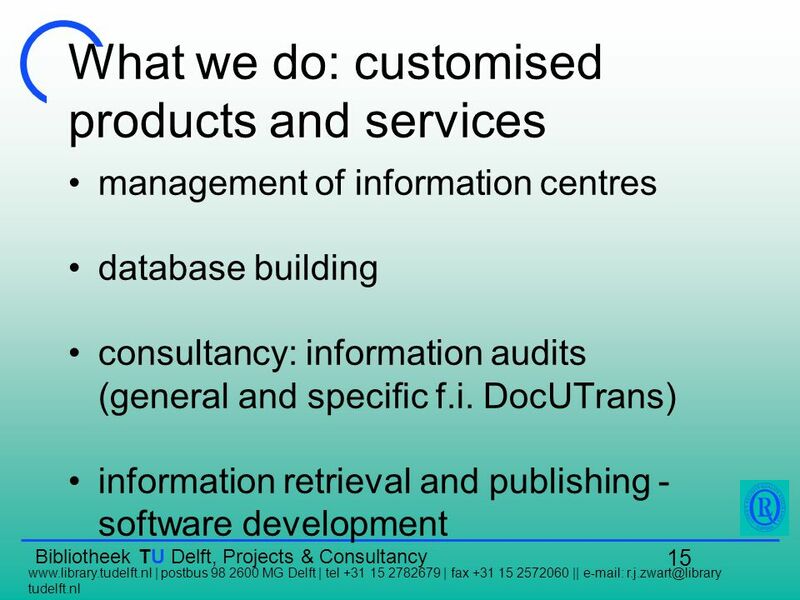 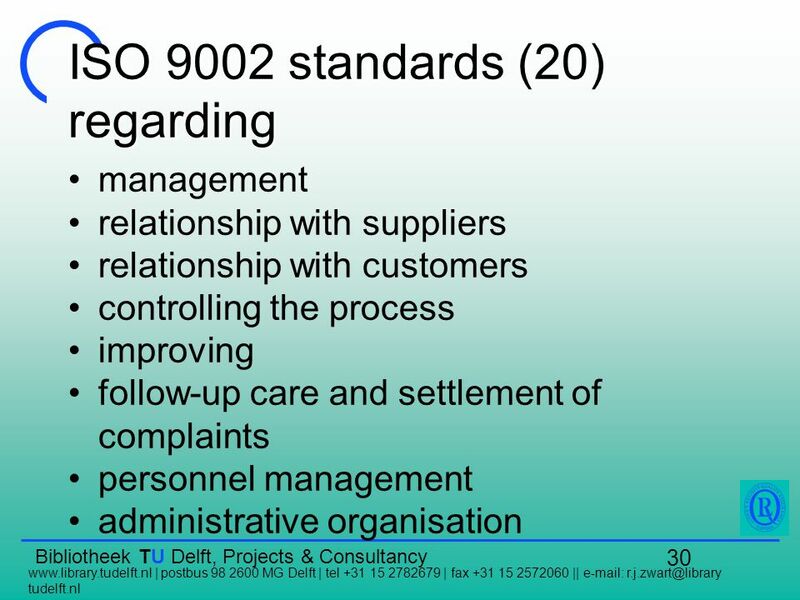 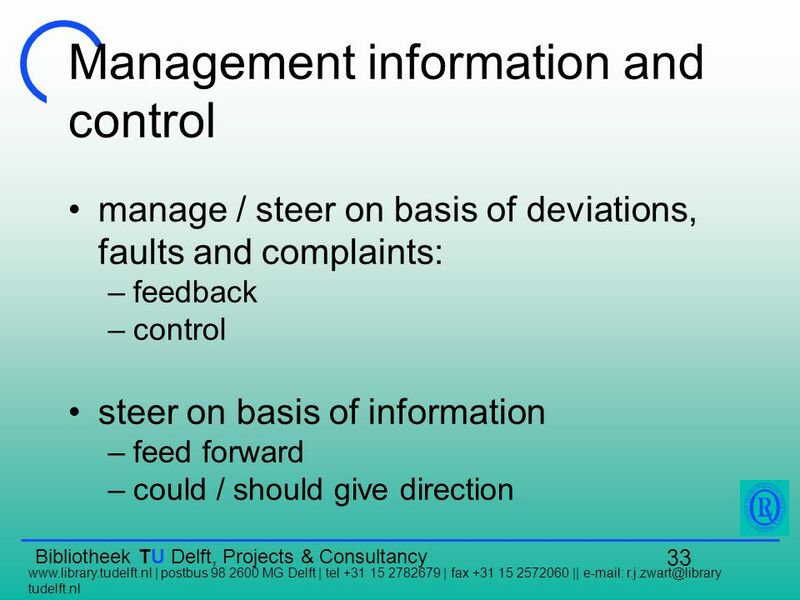 Download ppt "Bibliotheek TU Delft, Projects & Consultancy | postbus 98 2600 MG Delft | tel +31 15 2782679 | fax +31 15 2572060 ||"
Dr. Roswitha Poll Münster Benchmarking with performance indicators and Balanced Scorecard. 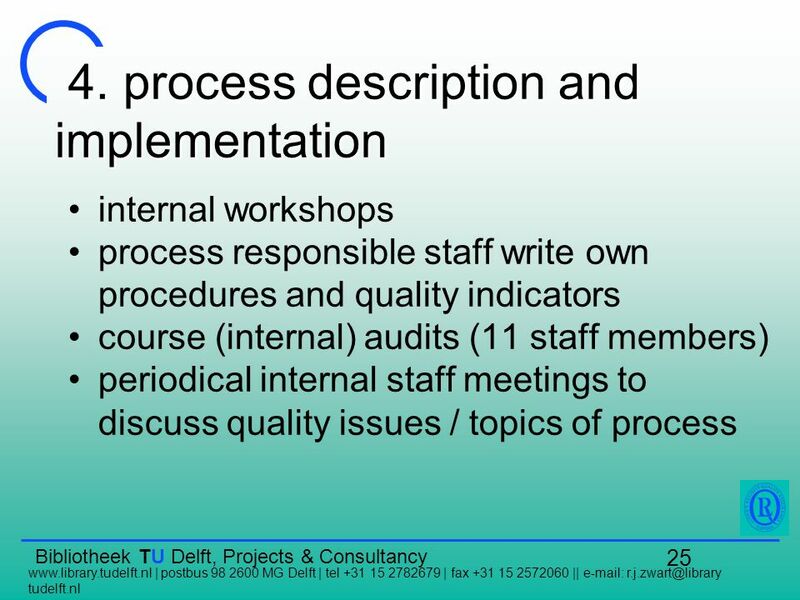 Evaluation of a Large-scale VRE Implementation - ELVI Staff and students using the VRE benefit from the greater transparency and communication that it. 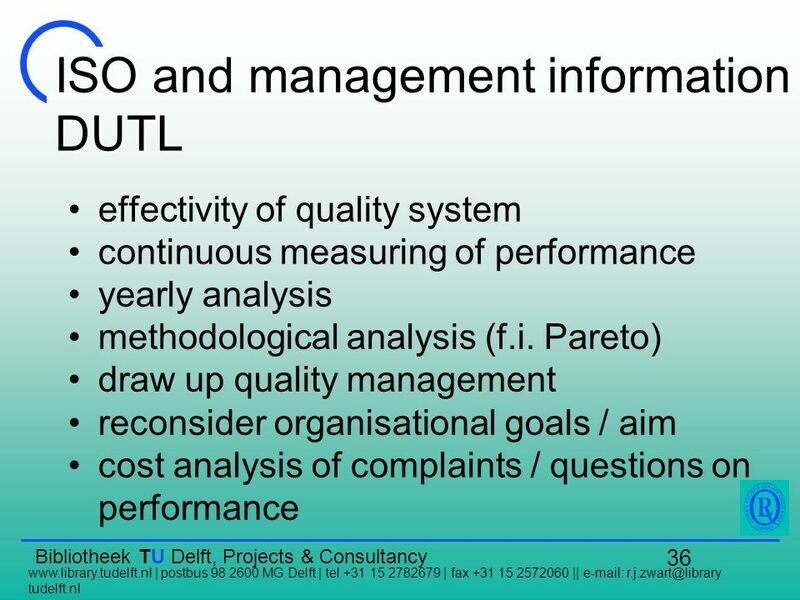 UPP - Understanding Privatization Policy Management and organizational issues Luca Farinola 24/02/2006. 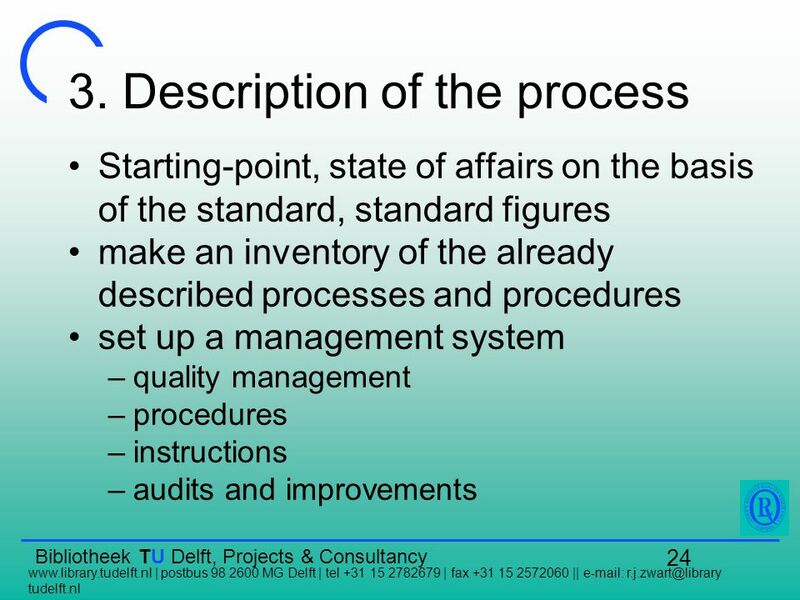 Benchmarking as a management tool for continuous improvement in public services u Presentation to Ministry of Culture of the Russian Federation u Peter. 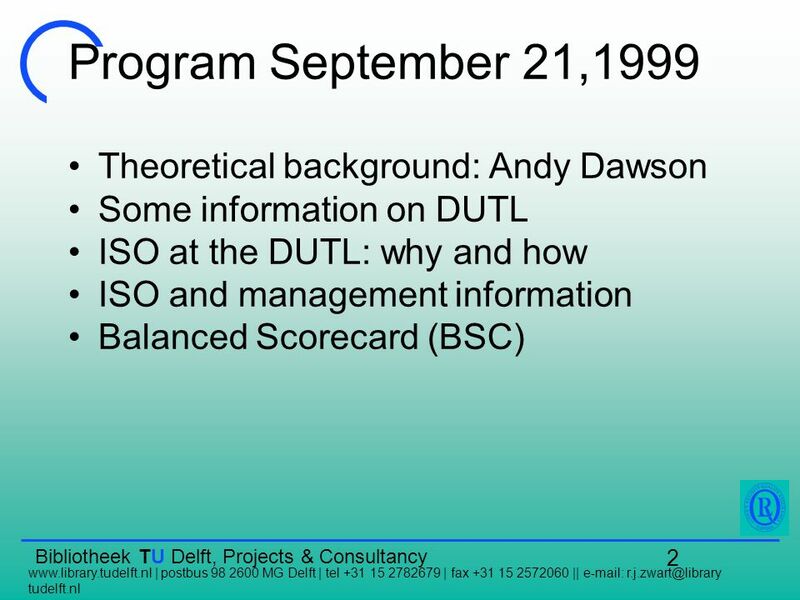 Pittsburgh, PA Software Engineering Institute Carnegie Mellon University Pittsburgh, PA Sponsored by the U.S. Department of Defense. 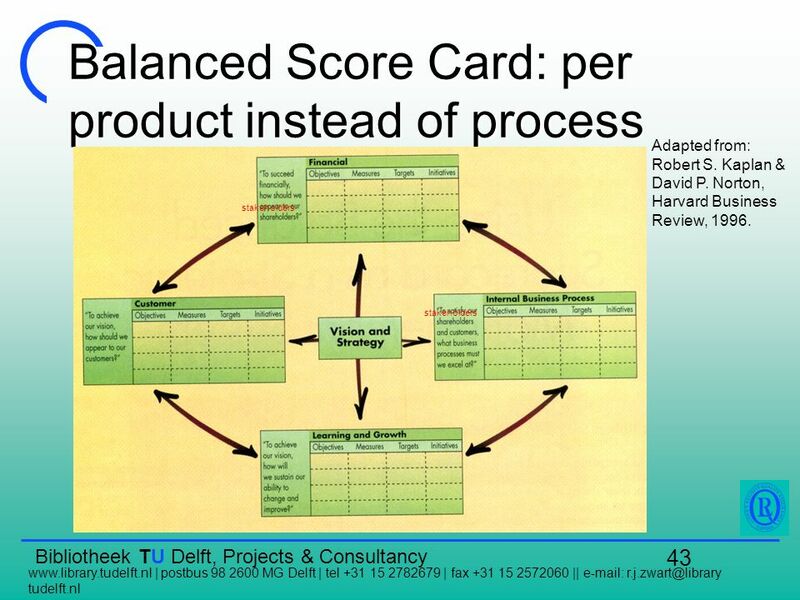 The Balanced Scorecard. 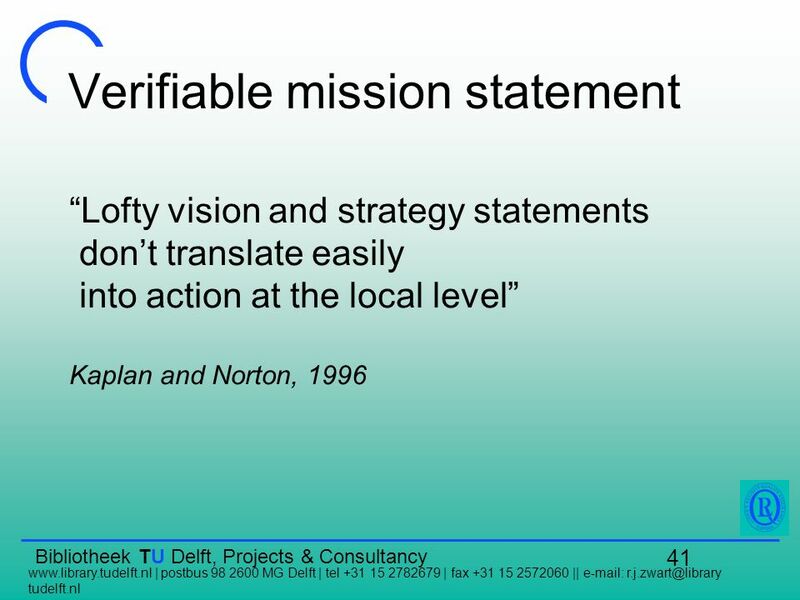 Developed by Robert Kaplan and David Norton. 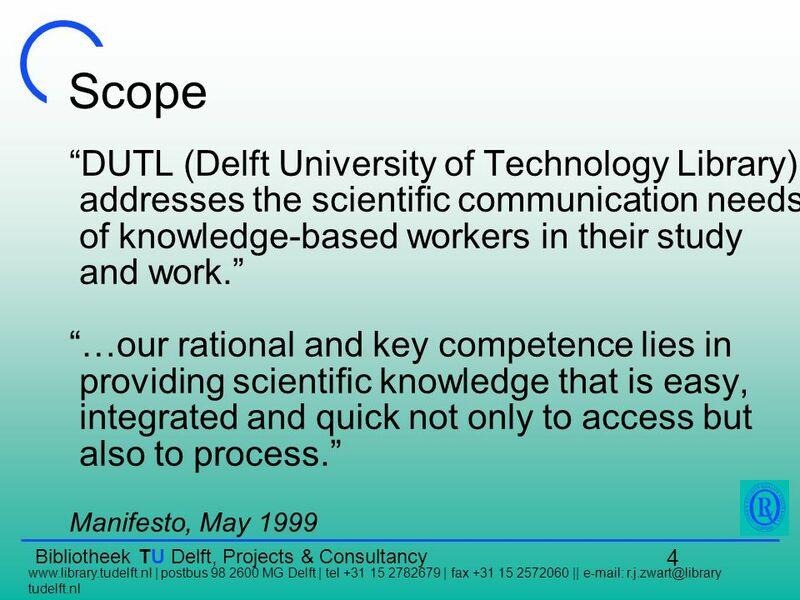 Introduced in the early 1990s. 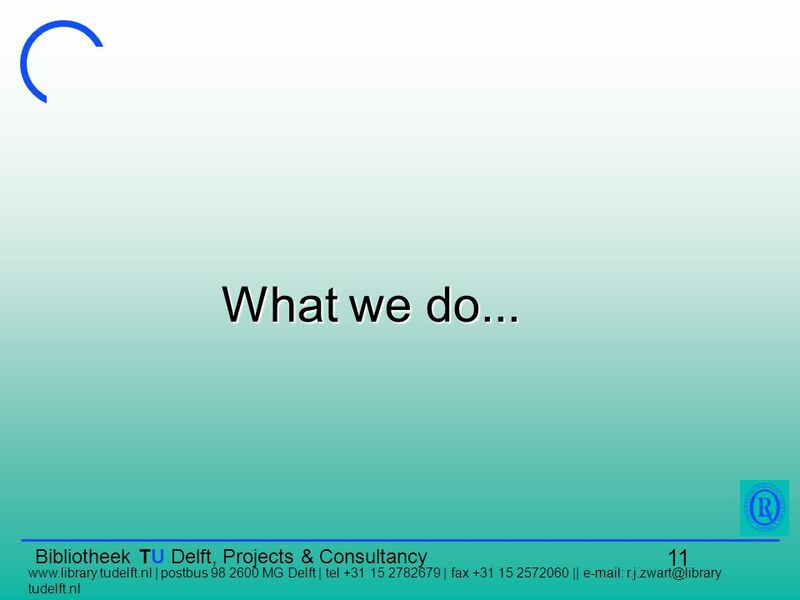 Motivated in part by Wall Street’s focus on quarterly. 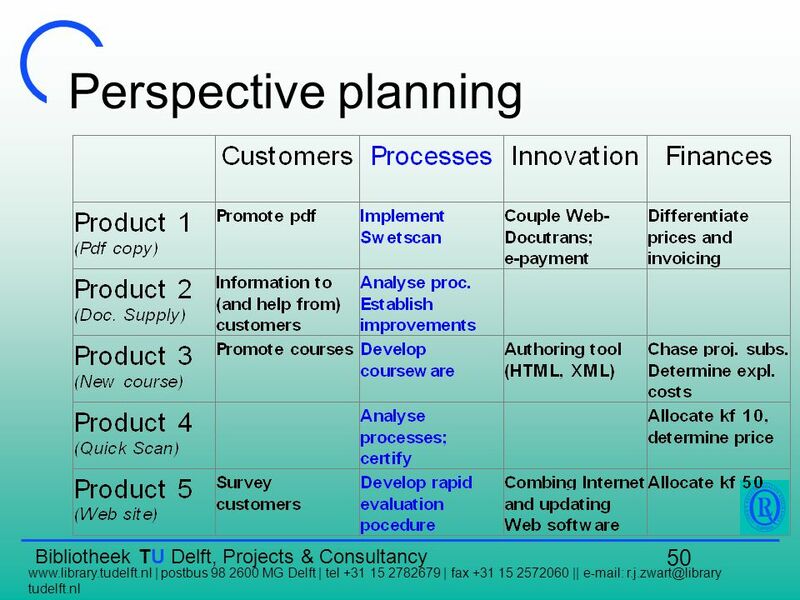 Learning Centers Some Best (Promising?) 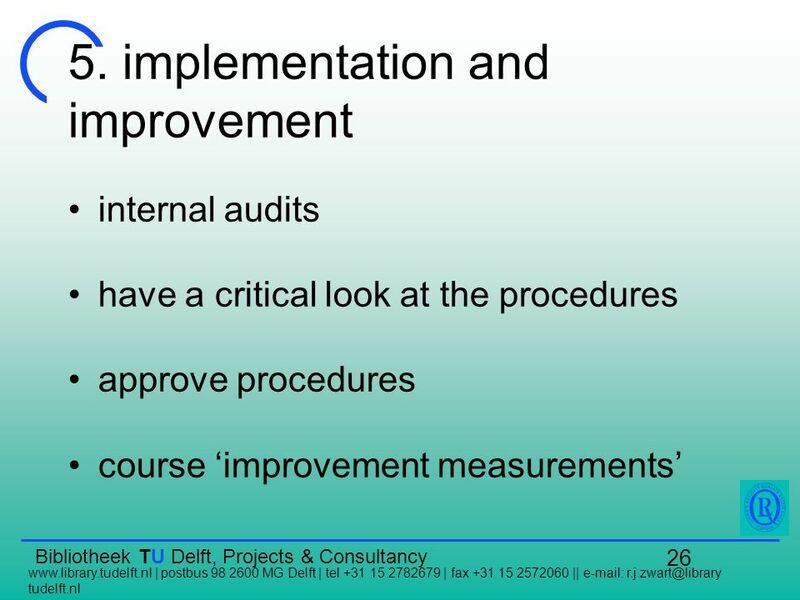 Practices for Some Best (Promising?) 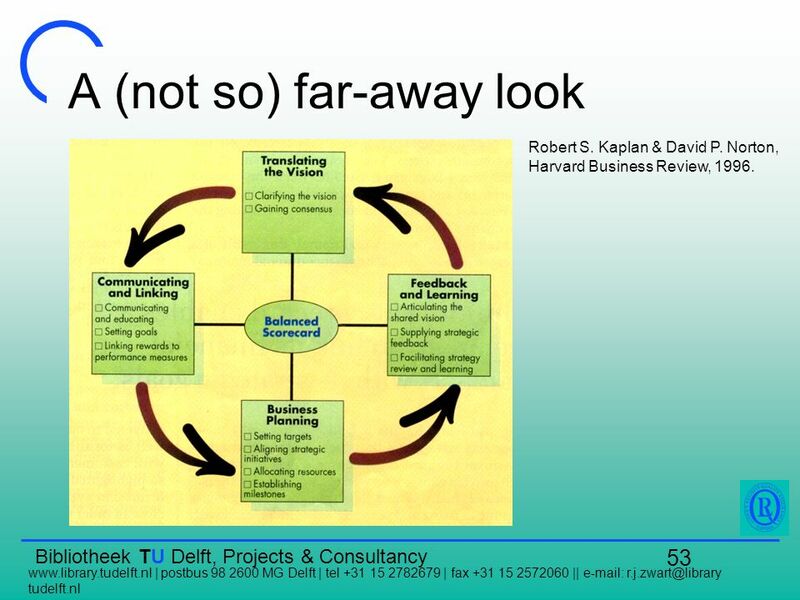 Practices for Learning Support Centers in Higher Education 1.